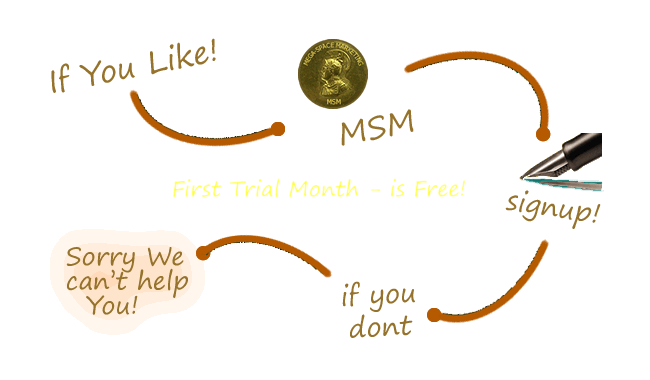 The Magical Hellonet MSM Services! 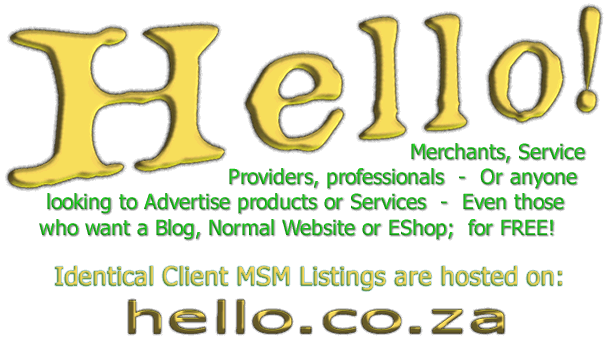 The MSM Package For Professionals, has it's own Page Listing Domain! MSM Websites provides fantastic visibility for Business Owners, Merchants, Service Providers and Professionals providing Public Services. 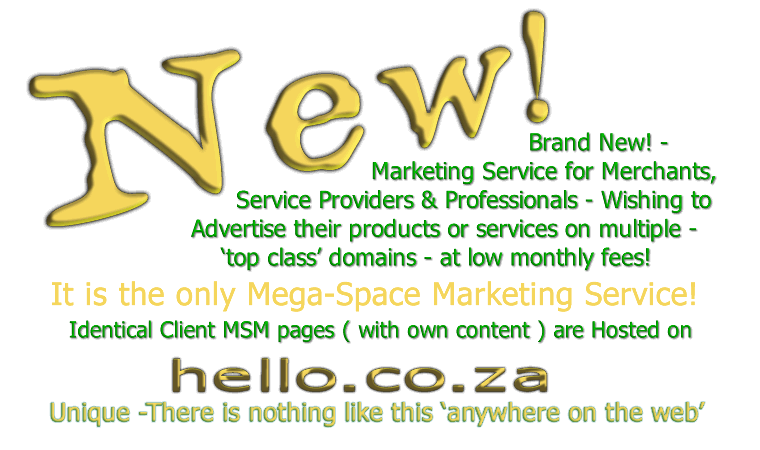 Fact-Is; Anyone can benefit from using Mega-Space Marketing services. Subscribers get a custom built, modern, One-Page Website! This - Hellonet Service is currently the least expensive, and the only, Internet Marketing service, providing exposure on (17) Engines, on the entire World Wide Web! 'MSM' websites are continuously displayed on Seventeen(17) dedicated Listing, Display and Search Engines; by default - World Wide! 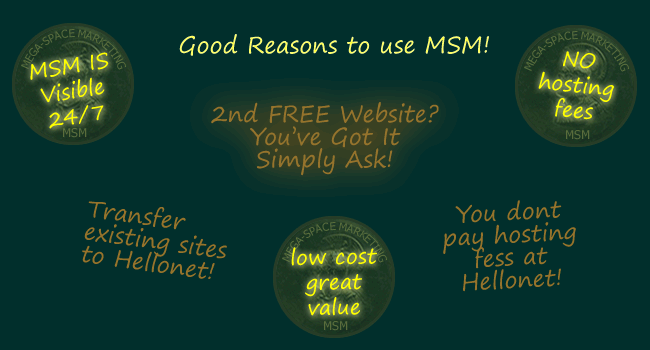 There are NO extras, or other hidden charges payable for any of the services offered with the MSM Package! Did we mention? 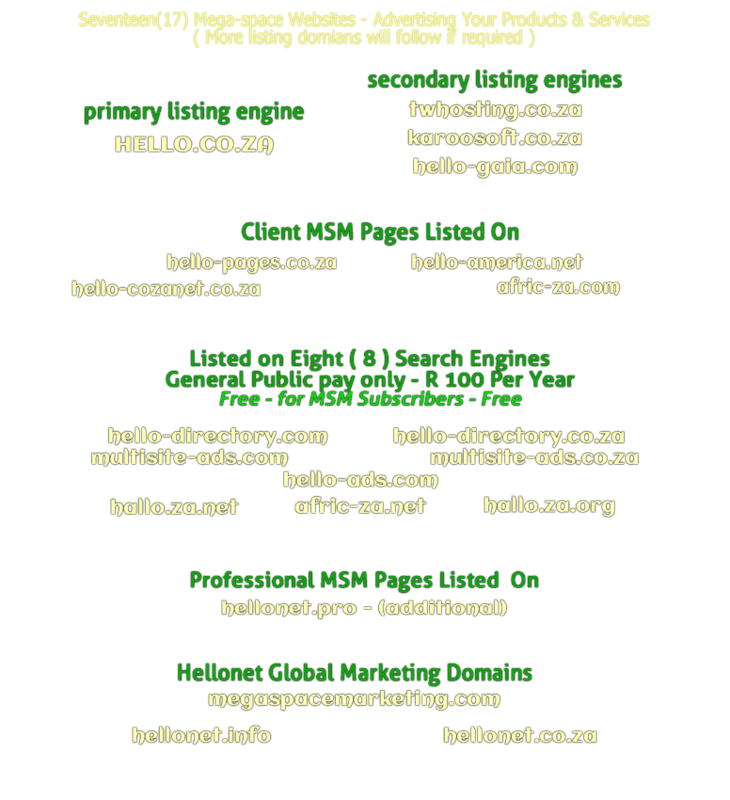 - Hellonet design and build your Website Free of Charge! 'MSM Websites' are great for Blogs, or whatever! 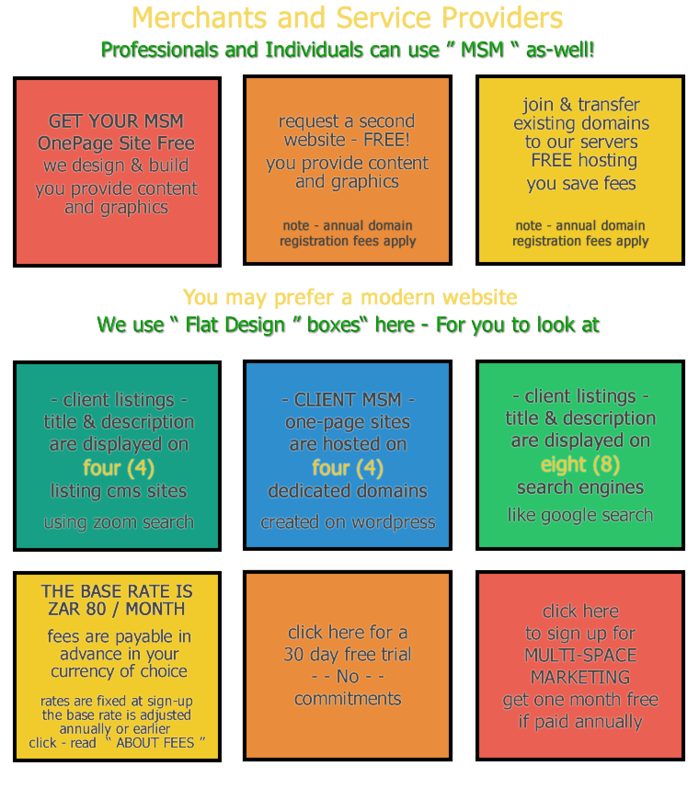 Your 'One-Page-Site' on all these domains! Recommend MSM! If (5)Friends Sign-up! Your fees drops by 50%!